One of our Property Managers will visit your villa on a monthly or bi-monthly basis, ‘opening and airing’ the property and carrying out a full visual inspection of the property, any minor maintenance requirements are passed directly to our maintenance department and dealt with immediately should the proposed cost to rectify the problem be no more than 30 euros. You will be informed immediately of any major faults should the need arise, and we will be happy to prepare quotations or deal directly with the developer on your behalf to rectify the matter. In times of heavy rain or high winds we will carry out additional visual checks during the course of the month without additional charge. We are now pleased to announce that our Property Managers will note the readings of water and electricity meters as part of their monthly inspection. Charged on a monthly basis, full swimming pool, spa and garden maintenance are ‘out sourced’ to local Spanish contractors, companies that are proficient in their remit and dedicated to the specific service that they offer. As part of this service our team will carry out sporadic checks to assess the competence of the supplier guaranteeing you a first class service. Having design and landscaped many ‘low maintenance’ gardens here at Hacienda del Alamo we feel, as well as many of our current owners that a regular garden maintenance contract is unnecessary. Our gardening contractor can be advised to carry out garden maintenance including, weeding and pruning; spraying of herbicides and pesticides; hedge cutting etc on request either yours or ours! This work is charged on an hourly basis plus any additional materials including chemicals. Charged on an hourly rate within set parameters, this service is flexible to your requirements depending on your needs of the moment, our team of maids can fully clean and prepare your home for you or your guests, service the property during your stay with additional cleaning including change of linen and towels; tidy and close your home after your departure including storing of garden furniture and ensuring the property is secure during your absence; or should you wish just pick up and return cleaned laundry if you have decide to close the property yourself! Our laundry services are ‘out sourced’ to a local Spanish company enabling us to maintain a very competitive pricing structure, they will also clean and dry clean bedcovers, duvets, pillows and cushions etc. 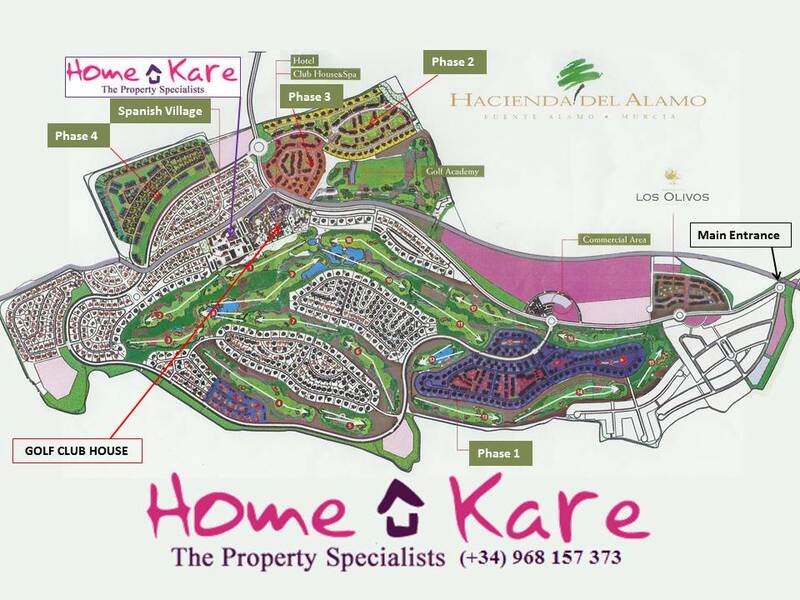 As a permanent or semi permanent resident of Hacienda del Alamo, you may not feel that your require the ‘Full Airing and Inspection’ service that we offer here at Home Kare, but would be more comfortable if you can contact us when necessary to provide any of the above services or more. We will gladly arrange for our cleaning team, gardeners or swimming pool Maintenance Company to service your needs on request; hold a key for your property during any absence or accompany you in situations where your full understanding of the Spanish language may put you at a disadvantage. We pride ourselves on the flexibility of the services that we offer and will recognise you as an individual, not just a property address! Purposely ‘petite’ to offer a personal service! 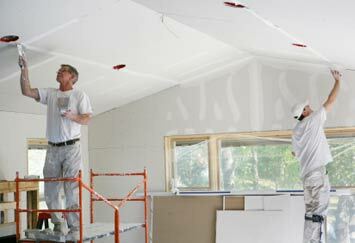 You may not wish to tackle these minor maintenance jobs during your holiday or have aspirations for small jobs that are beyond your own ‘DIY’ capabilities. Calling on our choice of local suppliers, contractors and in house ‘handy man’, we are able to provide no obligation quotes covering the full spectrum of maintenance and home improvements that you may require. Generally charges are calculated on an hourly/time basis plus materials at cost. Regular maintenance contracts cover the servicing of air conditioning units and it is recommend that this is done twice a year by specialised technicians. No job to small, and for major projects and construction work, please refer to our Construction and Project Management section.